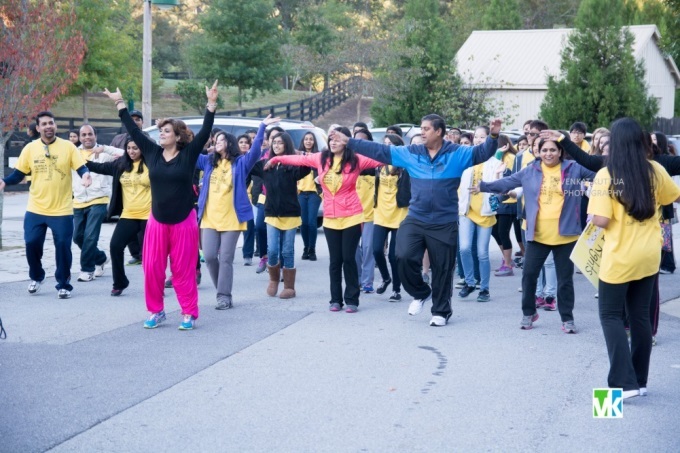 The Atlanta Action Center of CRY America organized their first 3K walk this past October. CRY America (Child Rights and You) is a nonprofit organization driven by its vision of a just world in which all children have equal opportunities to develop to their full potential and realize their dreams. They ensure that basic rights of education, healthcare, and protection from exploitation and abuse are restored to underprivileged children, girl children; children bonded in labor, physically and mentally challenged children, and children in institutions. The CRY Atlanta Chapter was founded this June by Aarushi Jain, a rising sophomore at Northview High School along with her father, Sandeep Jain. Many fun loving students and adults came together on this cold fall morning to show their support for underprivileged children. The Walk included zealous Zumba by Bolly Z and a children’s treasure hunt. 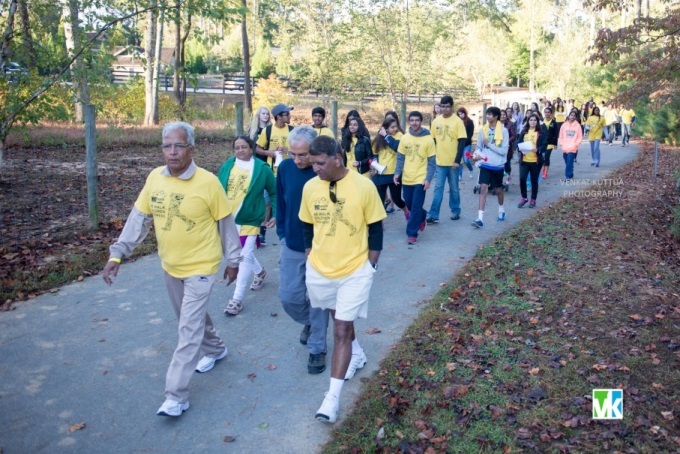 The walk was inaugurated by Dr. Vijay Arora, a renowned pediatrician from Lilburn Practices. Dr. Arora also contributed to the walk by making a notable donation and helping Aarushi Jain reach her fundraiser goal of $3,250. The walk witnessed lots of support from many high school teams including Northview, Peachtree Ridge, Johns Creek, and Chattahoochee High. Leslie Tran, a senior at Peachtree Ridge, was awarded the best high school walk lead for teaming more than 30 students from her school who supported the cause. Tremendous support and turn out also came from the Jain Society of Greater Atlanta. Mrs. Shaveta Jain (Mrs. India International 2012) and Mrs. Kamini Jain (Mrs. Suwannee International 2013) participated, and key sponsors were Venkat Kuttua Photography, Bawree, Global Academy, High Points Learning, and Atlanta Healthcare. Media coverage was provided by TV Asia. CRY Atlanta endeavors to make their Walk for Child Rights an annual event hosted by their chapter.